Before taking off from downtown however, your first stop along Mission Trail will most likely be Mission San Antonio de Valero otherwise known as The Alamo. Built in 1744 as a Roman Catholic mission and fortress, it was the site of the famous battle in 1836 and now houses a museum. You can pick up your B Cycle directly across the street from Alamo Plaza in front of the Visitors Center. From there, just follow the signs and head south from downtown to find the bike path along the river (personally, I don't love riding in traffic so this was my least favorite part of the adventure, but its only a few blocks). 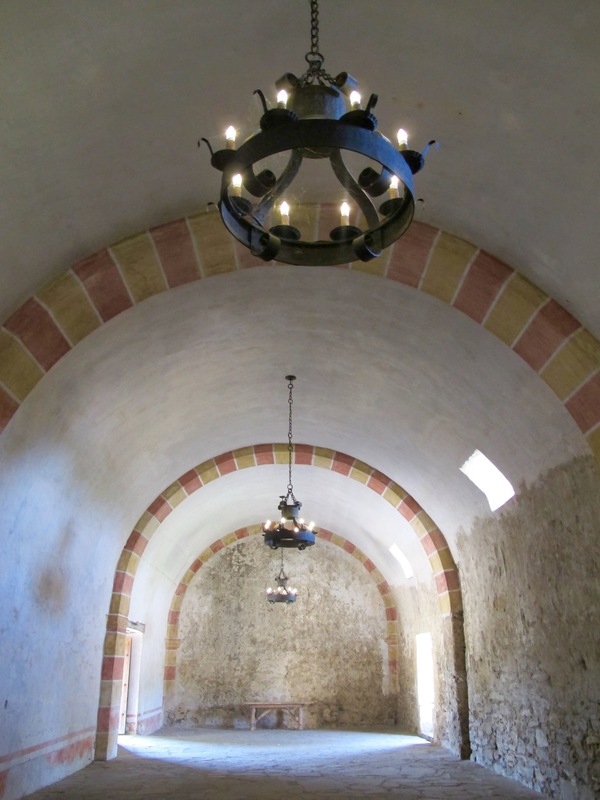 The first mission you will come to along the trail is Mission Concepcion, built in 1731. Total distance from The Alamo is about 3.5 miles and its a beautiful ride! We were there on a Friday morning and had the place almost completely to ourselves. Other missions along the trail include Mission San Jose, Mission San Juan and Mission Espada. Note that if you were to bike to each of them it would be 20 miles roundtrip. We decided that 7 miles was enough for us in the Texas heat and headed back to the downtown area, before driving to Mission San Jose. *Tip: To avoid the heat, you will want to start early. We visited The Alamo and Concepcion and were back in time for lunch. Mission San Jose was probably my favorite due to the size and architecture. Whether going the extra 6 miles via bike or hopping in the car, it is definitely worth visiting. Be sure to spend some time walking around the grounds and check out to the diorama. Seriously, its kind of cool!